Rise with the tribes online in high-def on March 30. 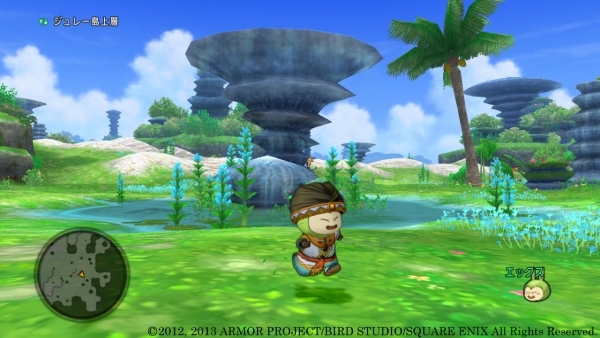 The Wii U version of Dragon Quest X: Rise of the Five Tribes Online will launch on March 30 for 6,980 yen in Japan, Square Enix has announced. It will be available in both packaged and download editions and include 20 days of free play. However, if you’re currently a Wii player, and register your account through the Wii U version’s registration, you won’t receive 20 days of free play, but instead the in-game items “Slime Hat” and 20 “Lottery Tickets.” Also for Wii players planning on moving to Nintendo’s new console, Square Enix is offering a discounted download version of the game exclusively to registered Wii players for 3,490 yen. On the same day the Wii U version is released, Nintendo will release a limited quantity, Dragon Quest X-themed 3000 yen Nintendo Pre-Paid Card, as well. On March 6, a beta test for the Wii U version will begin. The characters you create in the beta can be transferred to the retail version when it launches on March 30. View new screenshots, final box art, and a shot of the Dragon Quest X-themed 3000 yen Nintendo Pre-Paid Card at the gallery.